It’s not surprising that we travelers love apps, especially for the convenience and great help it provides while on the road. Whether you want to go eat out but make sure where you’re going is the best… or check out that gallery that’s running a new exhibit by your favorite artist… maybe there’s a particular jogging route you want to cover within the next few days after you reach your destination? All of them are on these high-tech apps whenever you need them. Down below, I found some awesome apps that will help you save time, stress, money and sanity on your next travel. So, before you pack your things and see the world, download these and tell me what you think. Looking for an app to keep all your itineraries in one place? Then it’s a must that you should have this app. It’s so convenient and helpful for keeping things organized in one place! It also allows you to share your travel plans and sync them to your calendar. This is one of the most useful mapping and navigation apps that I’ve found, particularly for international travel.What I love is that it works offline, with just the GPS signal of your phone. If you don’t have this app, then you must download it before your next adventure! This app is like a personalized tour guide in your pocket. 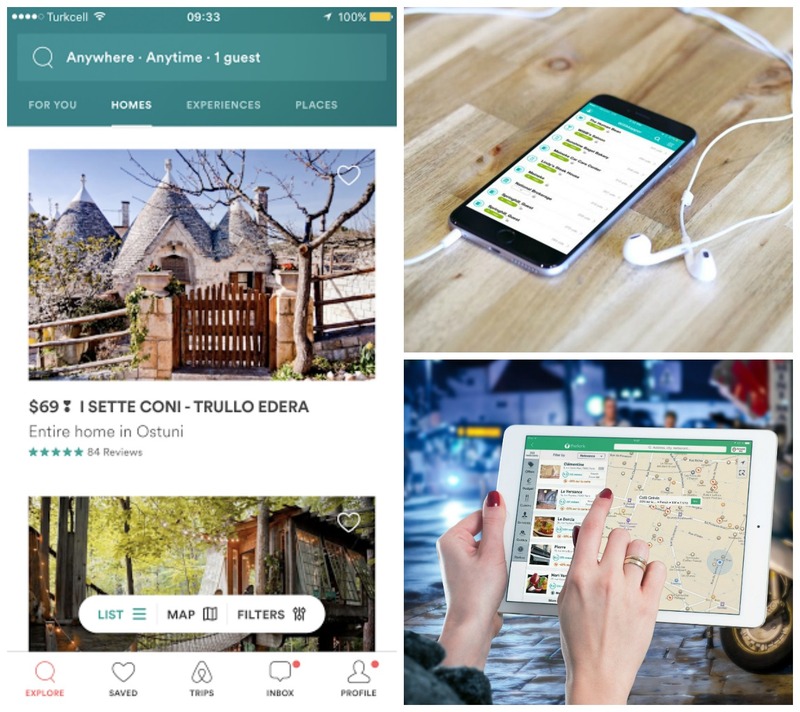 It’s intended to provide a full range of information about interesting places, attractions, transport, hotels, restaurants and everything else that you may need on the go. You can customize your own daily adventure using it. I’ve been using this app for a very long time and really recommend it for your next trip. Whether you’re looking for restaurants, places to stay, things to do, this simple app has got it all. Add the fact that you can even read reviews, tips, and photos from worldwide contributors, you’re sure to find something worthwhile. Airbnb has completely changed the way I travel. The service allows you to rent space in locals’ homes (whether a room or the entire place) at affordable rates. This is a must for budget travelers like us. This tool helps you figure out how to get from point A to point B, wherever that is, by laying out your options for you. It can be a really helpful springboard as you research what options will fit your budget and your needs. It covers planes, trains, buses, ferries and driving options with estimated travel time and fare. When looking for flights, Skyscanner is amazing for flexible searches. I love their “Everywhere” function, it allows you to find the cheapest flights from where you are, and also their ‘organize by month’ function, which shows you the cheapest fares on a calendar so you can figure out and take advantage of the cheapest times to fly. Sometimes when overseas, it’s really helpful to have a couple language apps on hand. This has saved me more than once when I need to find a bathroom! Although Speak & Translate isn’t free ($20), it’s still a highly recommended app when it comes to translation. We have it and are seriously happy with it. Just simply tap on the American flag icon (for English), speak into the phone, and the app will quickly translate and speak it back to the person you’re trying to interact with. Pretty cool right? This is another restaurant review website to help you catch some of those gems you want to visit. They also can get you discounts so even better! While there are zillions of travel apps out there, these 10 travel apps I’ve discovered are pretty high up there. They’ll help you save time and money, keep you organized and enhance your travel experience! So don’t forget them to download before your next adventure.